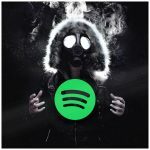 iTunes Spotify Mixcloud RSS FeedBecome a Patron! The 135th episode of KushSessions. Mixed by Rossum. In this episode I will play you some of my favorite Liquid Drum & Bass tunes of all time! The 133rd episode of KushSessions. Mixed by Rossum. The 132nd episode of KushSessions. Mixed by Rossum. The 131st episode of KushSessions. Mixed by Rossum.